Switzerland is a European country bordering Italy in the south, Liechtenstein, and Austria in the east, France in the west and Germany in the north. The state is about 41,000 square kilometers, and half of its territory is more than 1,000 meters high, with 60 percent of its land being the Alps with peaks of 4,000 meters. Alongside the high mountains, Switzerland also has rivers and lakes, the largest of which is Lake Geneva and Lake Constance. Switzerland also has glaciers, magical towns, lush vegetation, and major cities. To me, It’s an extraordinary piece of land. My trip to Switzerland was something I will not forget, and here I am, writing this travel guide for you – with the hope you will experience Switzerland in the same way I did. Switzerland is full of lakes, large and small; Blue or deep blue. Hidden in the forests or the heart of the barren Tundra, surrounded by tiny houses or snowy mountains. Some have become resorts and other tiny ones, hidden in the hills and suddenly discover the curious walk. It has plenty of waterfalls and a large amount of long, thin water jets that fall along the cliffs. It has verdant, leafy forests whose colors change in the fall of coniferous forests with black green leaves. It’s paths twisting between small villages, rich in traditional log cabins with windows decorated with flowering boxes. The main industries are pharmaceuticals, banking, insurance, watches, tourism, chocolate, and cheese. The standard of living is very high, and although it is one of the most expensive countries in the world, residents enjoy a good price for their money regarding medical treatments, access to information, nutrition and other areas. Its high structure, which was not ideal for the development of agriculture, was, from the 18th century, an economic resource in the form of tourism. To date, tourists are a significant part of the country’s human landscape, and tourism has had a decisive impact on the geography of the place. The valleys dotted with huts, the lakeshore built of many hotels, and the mountains are climbing cable cars. Switzerland is the embodiment of the fantasy of pedestrians. The hills are paved with thousands of kilometers of paths and dotted with hundreds of well-kept and pampering huts that allow the traveler to sleep in a relatively comfortable bed and eat a good meal after a day of walking. Languages are spoken in Switzerland: German, French, Italian, and Romansch. Religion: Most Christians (70%), the largest minority are Moslems (5%), 22% define themselves as devoid of religion, and in Switzerland, approximately 20,000 live in Zurich, Geneva, and Basel. What do you do on a trip to Switzerland? Switzerland is very suitable for nature lovers because, as we have noted, it is full of diverse landscapes – mountains, glaciers, rivers, lakes, valleys, nature malls and parks. Of course, the attractions are suitable for the ski enthusiasts and the extreme, since in addition to the ski resorts can be spent in a variety of exciting activities such as climbing glaciers, recreation in the slopes, rappelling and rafting. The tours are also suitable for couples who can enjoy all the attractions and absorb the beauty of the country. In addition, the tours are suitable for families who can enjoy a ride in cable cars from which to view the views, many attractions for children, amazing currency, comfortable infrastructure, relaxed sailing in the lakes, bike trips, hiking in nature, surfing on glaciers and visiting a rope park, zoos, museums , Festivals and carnivals, exhibitions, lakeside beaches, hot springs, natural malls, shopping centers and of course – restaurants and cafes! Accommodation in Switzerland can be in Western hotels at reasonable prices in Zurich Airport area. In the rest of the country, hotels of this type and rank (4-5 stars) will be costly. Most of the accommodation in the rest of Switzerland is accommodation and can be found in the tourist areas. It is important to distinguish between sleeping in a cabin where you get a room and accommodation in vacation apartments that will usually include a kitchen that contains all the necessary equipment, so they are very suitable for families. Guesthouses in Switzerland are another option. Usually, they will be small and family hotels. If you wish to stay in larger hotels, you can find them in the main cities. Choosing camping options is also an option. Camping sites can be found in central areas. If you want to go on a star trip, you can find a variety of accommodation such as Lucerne, Lugano, Lake Geneva, and the Bernese Alps, which are considered the most impressive area of the Alps and are located near Berne and Zurich. They are very famous because of the vast mountain range and pastures that surround them. Bed and breakfast accommodation and 3-star hotels at most offering wireless internet and sometimes serving breakfast will cost CHF 85 per night in a double room. If you wish to save, you can leave the city and find rooms at the same level for CHF 60 per couple. Hotels for families can reduce the price. Each town and village has a wide range of 2-3 star hotels and bed and breakfasts. Prices depend on season and location. Switzerland is expensive and therefore both in the supermarket and in the restaurant, usually, the price will be between 10% and 50% higher than usual in Israel. An average traveler can spend time in Switzerland and enjoy good places, meals and commuting for CHF 120-150 CHF per day. The price includes accommodation in hotels up to 3 stars or lodging in hostels, eating in a local restaurant once a day and using a rented car (if it is three passengers or more) or by public transport. You can also arrive in Switzerland as part of organized tours. In most cases, the prices of companies will be higher than those of independent tours. Of course, you can spend much more than Switzerland, and travelers who choose to sleep only in four-star hotels, will shop many, will eat in restaurants, ski resorts and will not compromise on the quality of services can spend about CHF 320 per person per day. The tourist and entertainment sites are also expensive throughout the year. For example, a trip to the top of the Titlis costs about 90 Swiss francs (per person); a 4-hour visit to the Alfa Mara water park will cost 35-45 Swiss francs. The location of Switzerland in the center of the continent makes it very accessible for anyone wishing to travel there. Whether you choose to come directly from Israel or from any other European country, you will have a variety of traffic options, all you have to do is choose. By air: Switzerland operates three international airports, the two main airports are in Zurich and Geneva. Both serve as a point of arrival and find destinations around the world. The airport in Switzerland is the center of the two and the railway station where you can reach many cities throughout Switzerland, including Basel, Berne, Geneva and Interlaken. The airport in Geneva is 5 km from the city and is also connected by buses and by the train network that runs across Switzerland and other European countries The third international airport in Switzerland is located in the city of Basel. To the Swiss border with Germany and France and is used mainly by cheap airlines operating in Europe, including the popular airline Easyjet. The airports in Zurich and Geneva are well connected to the country’s railways, which depart every 10-20 minutes to the city centers and less frequently to other cities in the country. The Swiss national airline, Switzerland, reaches 70 destinations in 42 countries around the world, including Ben-Gurion Airport in Lod. El Al also operates daily flights to Switzerland and Geneva. By land: Arriving in Switzerland from neighboring European countries can take advantage of excellent train services or arrive independently in a rented vehicle. Switzerland, located in the center of Europe, is also at the center of the railway system that crosses the continent and trains from many European countries cross it on their way to their final destination. Daily train services can be found from Germany, Italy, France, Austria, Spain, the Czech Republic, Scandinavia and more. Many of the trains include accommodation and food services. Another convenient way to reach Switzerland is by car, using the excellent road system linking it with its neighbors. Vehicle entry to Switzerland requires a vignette sticker to be affixed to the windshield. The sticker is valid for a year and is priced at 40 francs and can be purchased at Swiss border crossings. Caravans are required for another sticker. It is worth knowing that road supervision is tight and the penalty for the lack of a sticker is high. Eurail Select Pass – for use in 3-5 countries with a common border. EurailPass – for use in up to 18 countries. Visitors to only two countries can purchase the Switzerland-Austria Pass or the Switzerland-France Pass. The price for children aged 4-12 is reduced by 50%. Please note that these values apply only to certain areas in Switzerland, especially to the main railway lines. 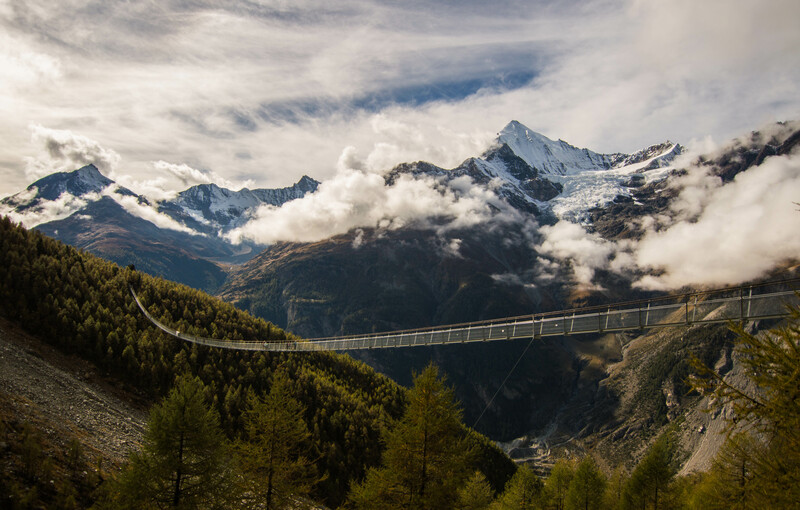 The transportation throughout Switzerland is convenient and easy thanks to the extensive and high-quality transport system that connects the country, including buses, trains and vessels, all of which operate precisely, with high frequency, comfort and cleanliness. It is important to know that those planning to use the public transport during the trip are advised to buy the Swiss Pass, which allows free travel on all Swiss transport networks and provides discounts on cable cars and mountain rides. You can choose between a valid card for 4, 15, 22 or 30 days. The Swiss Card is an additional card worth knowing, as it provides free travel to any destination in Switzerland on the day of arrival and travel back to departure point from any destination, and gives a discount of between 25% and 50% unlimited purchase of transport tickets by means of transportation Different. Domestic flights: Many domestic flights depart from the country’s various airports daily and connect Switzerland, Geneva, Bern, and Lugano. Flight prices are very high compared to efficient and convenient public transport services, making the possibility of domestic flights less attractive. From Zurich airport, every half hour trains depart to central destinations of the country, including Berne, Basel, Geneva, and Lausanne. From Zurich’s main train station, trains depart for the airport every ten minutes. In addition to trains, 11 bus lines leave from the airport to areas near the airport. The bus stop is behind the parking lots 2 and 3. Buses depart from the Basel airport towards the city center. Trains in Switzerland: The Swiss are the European people making the most frequent use of the railway system, and it is not surprising: the combination of precision, comfort and familiar views of the Swiss train ride is a good reason. The long railway tracks span thousands of kilometers, and many of them pass through tunnels that have been cut to allow transportation in parts of the mountainous country, where there are villages that can not be reached in any other way except trains, Also tourist services of day trips by train to the picturesque landscapes of the country. The railway network of the Federal Railway Company is spread almost all over the country, but a number of routes, especially those running on the Alps, are run by private companies and the tickets are usually valid for each. Passes give discounts of between 25% -50% for small lines. Passes intended for travel between different European countries should be noted because the discount given to holders of the European pass varies from company to company. In addition to the railway system, it is important to note the mountain trains that serve as a means of transportation for those interested in reaching the peaks. Bern – the federal capital of Switzerland and the fourth largest city in Switzerland, like Geneva is a cosmopolitan city, many of whose residents are emissaries from foreign countries, and thus a different atmosphere and a high standard of living. The city of Bern was founded by the Roman emperor Berchtold 5, whose name, according to legend, was named after one of the bears he killed (then, at the time, there were many bears in the area hunted by the locals). In the 15th century, the inhabitants of Baran began to expand their hold on the territories west of Geneva. For a short period Napoleon ruled the area, but after being defeated and exiled, Bern returned to the Confederacy and became its capital. The city is full of museums, lively cellars, and colorful markets. It is worth visiting Albert Einstein’s house, the clock tower, the cathedral, and the impressive town hall. Thun – Thun is a city in the canton of Bern, Switzerland, 19 km south of Berne. A nice little town was suitable for an hour or two of walking. The main street and its houses are decorated with flowers and colorful. The main street leads to the castle of the city which now houses a historical museum about the city. There are other nice cities on the way, in case you did not find parking and you want to stop (in the smaller cities it is a bit harder because there is no big and orderly parking). Interlaken – The city itself is not so special, but it’s a great place to shop at night and start hiking in the lakeside area especially if you want to go up to Jungfrau. A recommendation for camping – later on. The scenery is stunning, and the location wins because the city is located between two lakes and surrounded by high mountains. Grindelwald – a town with breathtaking views, the town is very close to Jungfrau, and there is a train station that climbs up the mountain. The road between Interlaken and Grindelwald is lovely. A great route between mountains, snowy peaks, picturesque houses and lots of green eyes. (Who surpasses the Jungfrau-Grindelwald on the way, so you do not have to travel especially you can just stop at the train station and walk the town). On the way from Interlaken to Harrah Mall there is a small and charming little town called Branch there are lots of parking lots open along the main street where you can pay by a payment machine. The city has lots of art shops, such as wood carvings, music boxes and more. The main street is right near the lake and allows to walk in a beautiful park near the water. There are a traditional Swiss art museum and great walking trails. Near the town is the open museum of Blaenberg. Lucerne – one of the main cities of Switzerland, a town that developed from a small fishing village to a big city because of Being on the way to Italy. In Lucerne, there is the famous transport museum, the impressive wooden bridge that was renewed after a fire in 1945, the “sad lion,” defined as the saddest and most exciting piece of rock in the world. Enjoy a stroll around the city, eat chestnuts in the street and enjoy the many colorful murals and murals of the place. Tip: Mount Pilate is right near the city. So what you can do instead of a shop in the city – to park in one of the Pilates parking lots, where parking costs 5 francs for the day, and then take a bus to the center of Lucerne at the cost of 2.8 francs per person). It also saves the high cost of parking in the city and even the problem of finding a suitable parking lot and driving in the town. 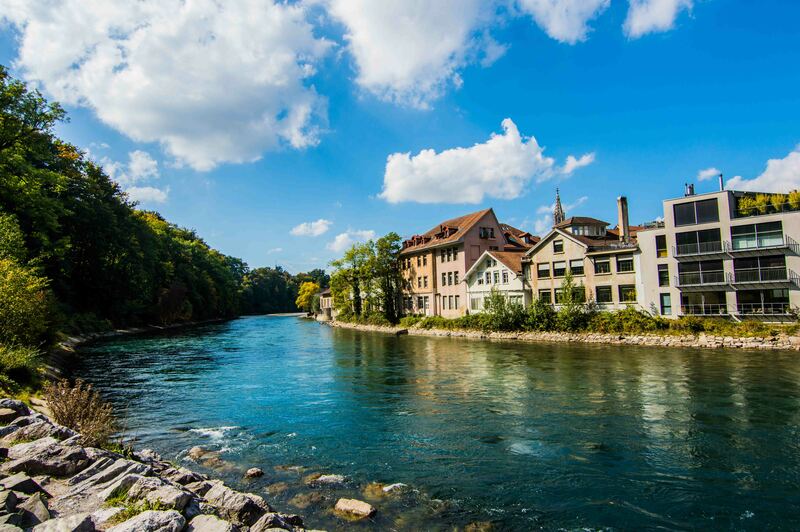 Schaffhausen – the city close to the Rhine Falls, a cute, small and picturesque town. Arriving in the city, you should look for the visitors’ center and get a map showing the points of interest. There is a beautiful and unique castle in its garden where there is a small zoo. You can go up to the observation tower and see the magnificent view of the city. It is worth visiting the bustling pedestrian mall (sometimes the wineries in the area take out their best wines for tasting). There are also interesting museums and well-developed electronics industry. If you want a nice hike – you can walk from the Rhine Falls to the city – a pleasant walk of an hour.